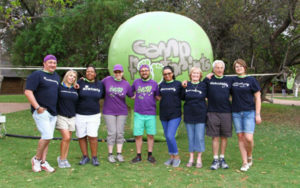 Community of Music Makers South Africa (COMMSA), founded in 2017, is a registered non-profit organization. Based on the principles advocated by the nascent discipline of Community Music, COMMSA has at its core the values of access, participation, diversity, and equality of opportunity. 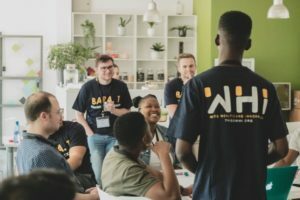 COMMSA’s first official project was the Chris Hani Baragwanath Academic Hospital Music Initiative, which began in April 2017 and is still ongoing. 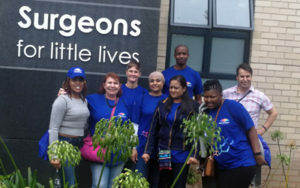 The first of its kind at Baragwanath, this initiative sees COMMSA’s musicians provide music in two wards, the Pediatric Burns Unit and Ward 32 and has been well received. This initiative would not have been possible without the support and endorsement of Surgeons for Little Lives, who have given us the trust to explore this developing work. 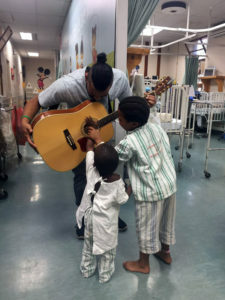 For musicians who are not necessarily accustomed to medical spaces, working at CHBAH has resulted in experiences that have been novel, challenging, and ultimately rewarding. 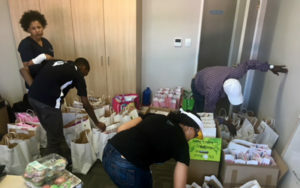 Beyond this project, COMMSA has also begun a similar initiative at the Wits Donald Gordon Medical Centre and will be commencing another at the Thambo Memorial Hospital in Boksburg in the near future. Although we have started within hospitals, one of our objectives is to expand to include old-age homes, children’s homes and prisons. The nature of these initiatives manifests itself in our slogan, a phrase in which we strongly believe: music is for everyone.